College/University Community College in West Los Angeles, U.S. Controversies • In March 2011, he got into an altercation with former manager Eugene “Big U” Henley. 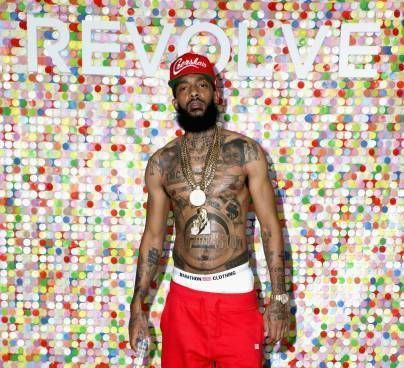 Hussle was attacked by Henley and to defend Nipsey, his brother, Samiel Asghedom, had to pull out a gun and fire in the air, which led to his arrest by LAPD. • He collaborated with the rapper Y G to release single FDT (F*ck Donald Trump), which stirred a huge controversy in the country. When he was 14 years old, he left his mother’s home and lived with his grandmother. Hussle was dropped out of high school after he was accused of breaking into the computer lab. In 2017, he launched his own clothing store, ‘Marathon Clothing‘ in his hometown, Los Angeles. His studio album, ‘Victory Lap’ was nominated for Best Rap Album at the 61st Annual Grammy Awards in 2019. Hussle was shot dead along with two other at his clothing store in Los Angeles.